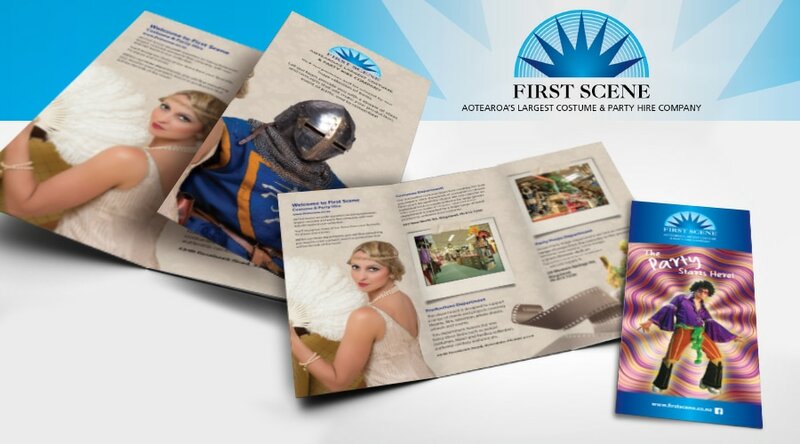 FIRST SCENE is Aotearoa's Largest Costume & Party Hire Company. Their brand needed a freshen-up but because their logo is so distinctive, we needed to keep the same look and feel but just give it a tidy up. 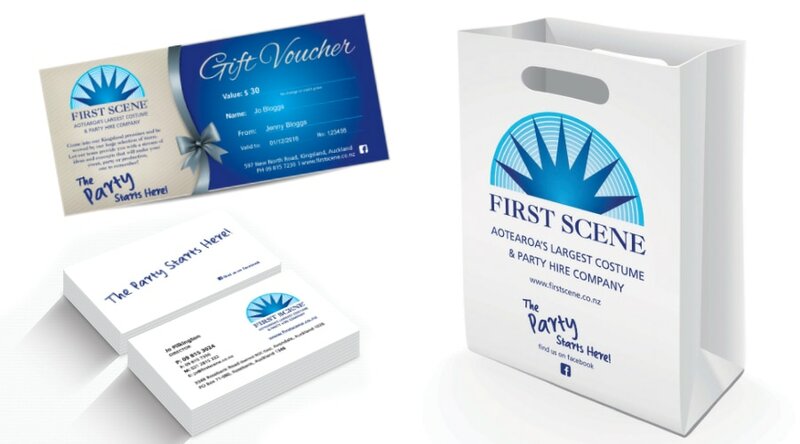 We produced new business cards, bags, brochures and gift cards. 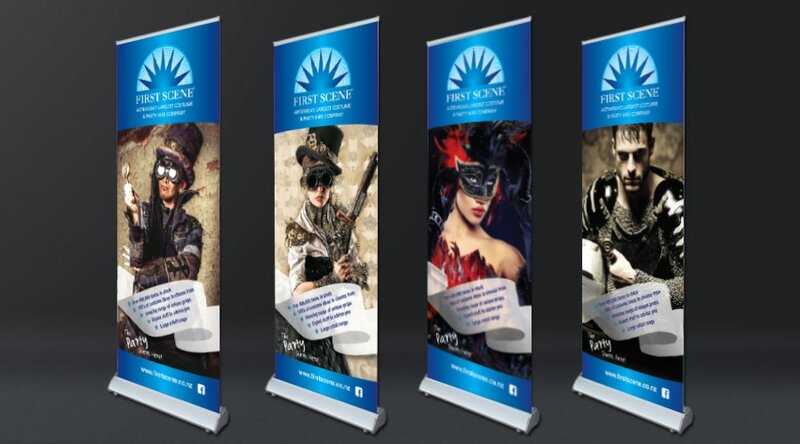 We also provided new signage and designed and sourced lightweight pull up banners for shows. These banners can be easily transported on planes and are very light weight yet strong. PRD have also been involved in photoshoots and have produced advertising material for publications.